Essen SPIEL ’15 is over now. 4 days of glorious madness has ended. 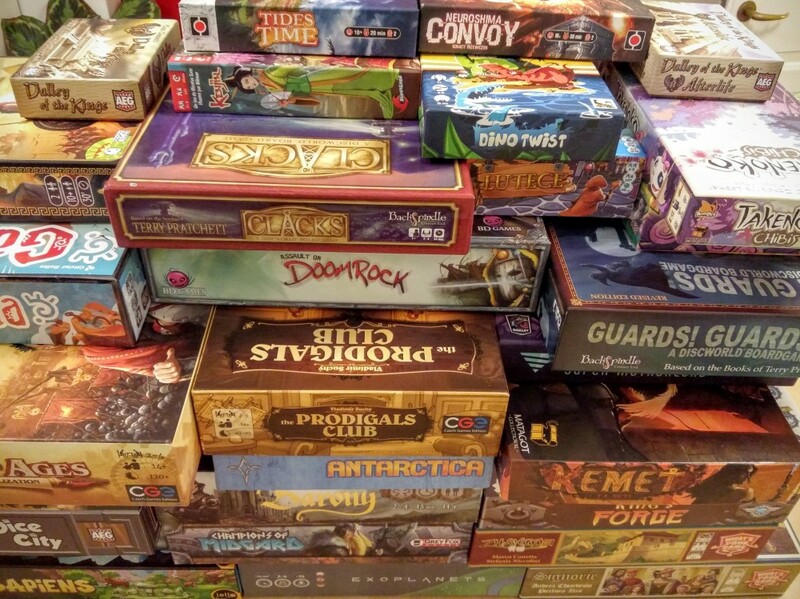 So many games have been played and so many games have been bought. It has been a wonderful ride, but now the only thing that remains is to find shelf space for the overload of games I acquired this year. Essen SPIEL is full of people, not only boardgame enthusiasts and German families, but also publishers, designers and illustrators. This is one of the things that makes this such a great fair. If you visit some of the smaller booths odds are you will be taught the game by the guy or girl who designed it. This really is a great experience. You can ask all kind of (stupid) question that they will know the answer too. As a boardgame reviewer this was the first time I got to talk to the publishers too. This was a great experience and I really enjoyed spending time with them and appreciate them taking the time to talk to me. I would like to thank 3 of my favorite publishers for their time: Portal Games, Czech Games Edition and IELLO. Keep on making great games guys. Pandemic Legacy, 504 and 7 Wonders: Duel were some of the most talked about and most hyped games this year at Essen SPIEL. The first two were not for me. Pandemic has never really been a game I enjoyed and while I can see how the “legacy” (a term used for a game you have to permanently change the game during each play) thing can be appealing, it is not that appealing to me, since it requires you to to play the game with the same people for around 15 times to get the full experience out of it. 504 was also a miss for me since it lacks to things I find key two the game experience, theme and visuals. I see it more as an experiment than anything else, but I am interested in seeing what other people think, once they have played more of the 504 different variations of it. 7 Wonders: Duel is the only game of the three I got my hands on, and man it looks great. Can’t wait to play this again (and again). 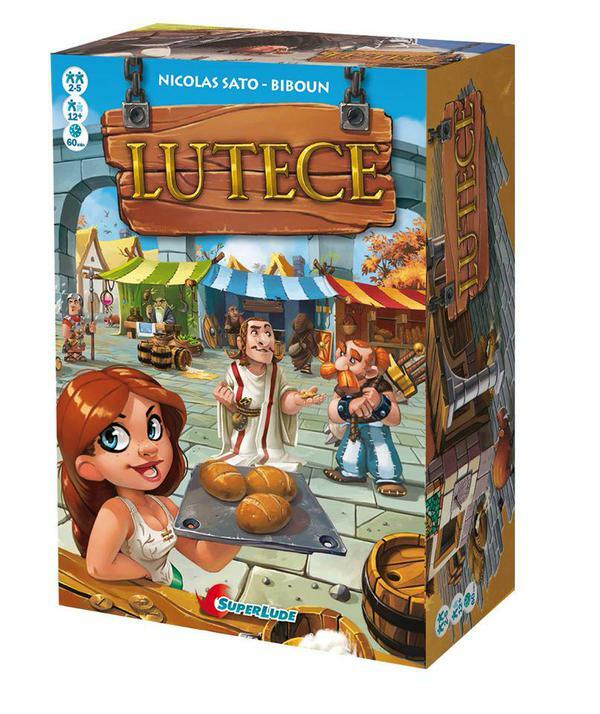 Lutece is designed by Nicolas Sato and beautifully illustrated by Biboun. It’s a 30 – 90 min game (shorter the fewer players you are) for 2 -5 players. Where you acquire buildings and people of different colors, that produce different goods that can help you score more points in the end. You get these buildings and people by secretly bidding, and as the game progresses it becomes clearer and clearer what cards are good for who. The rules are simple, the game is beautiful, and it has depth. For me that’s a clear winner. This is also designed Nicolas Sato and illustrated by Biboun, but it’s a completely different game. Each player starts with the same 13 cards of different units, some stronger than others, and some with special abilities. Some will be placed in face-down (so your opponent will not know what it is), while others will be placed open. You goal is to have the highest strength at different locations (that gives either 4 or 6 points). The winner is of course the one with the most points at the end. This game plays very fast. Less than 30 min for sure, and is for 2-4 players. 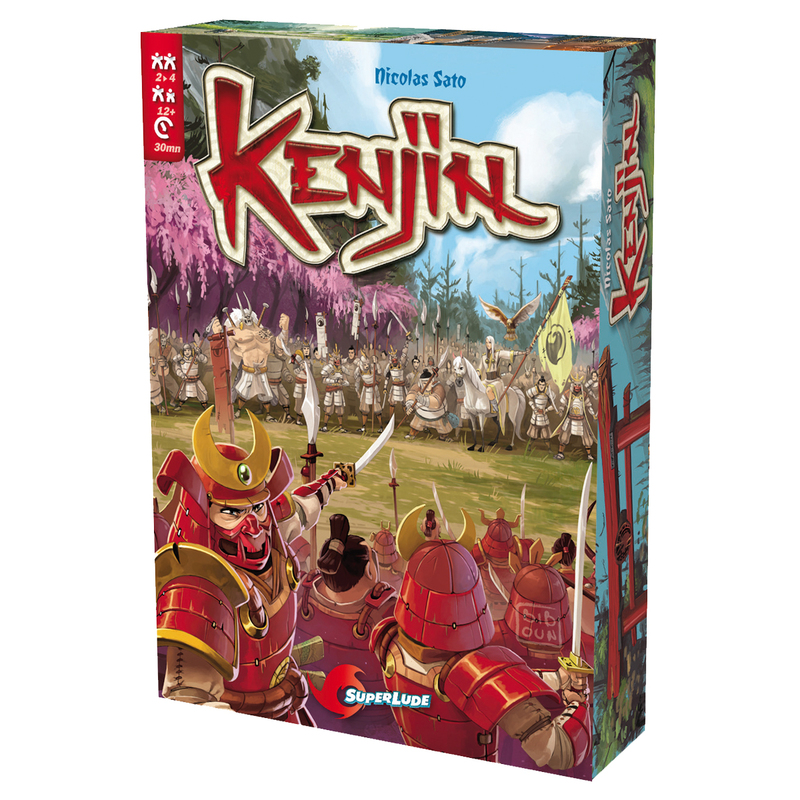 A very nice simple game with a deeper layer of strategy and very nicely illustrated.